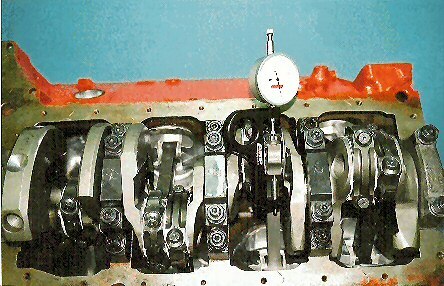 Wayne will show you how to build a bare 350 Chevy block to have 600 horse power for less than $ 6000.00 with all new parts. 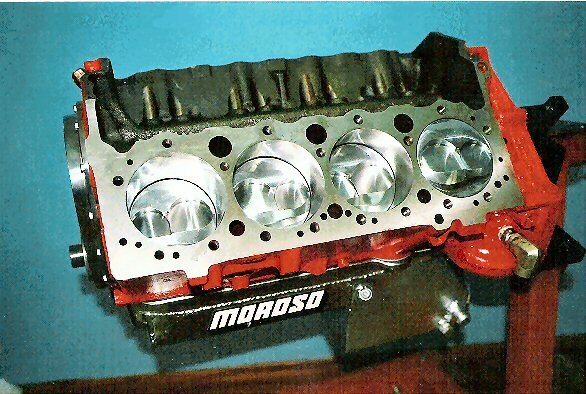 Top of the line parts like Callies / Comp Cams / and use the best 4340 light crank and rods / forged light dome pistons / high flowing aluminum heads / shaft rockers / MSD / Moroso and more. The secret is where to buy and get the best parts for the best price. Your will see where he purchased each part and the price with the part numbers. 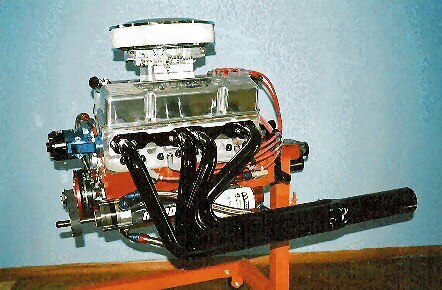 Wayne E Partridge Sr, ( nitrousfueler ) here on ebay, has built this new multi-camera DVD production of a 350 4 bolt main block, with a 3.75 stroke crank and bored .030 over into a 600 Horse Power 383 Cube SB Chevy On Budget Money. This 7 hour exhaustive production will tell the complete story of creating 600 horse power from a junkyard 350 bare block. Wayne has built high tech racing engines for many years for his sprint cars and fuel dragster. 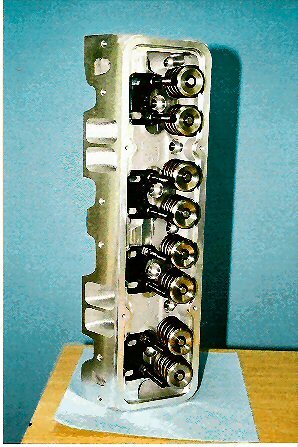 He also has many other engine DVD's here on ebay like the 496 BB Chevy with 848 horse, the 351W Ford he built into a 410 with 715 horse. The wildest is his 420 inch Small Block Chevy with 1050 horse and 1400 on nitrous in his 1340 pound super fast 6 second dragster. This production covers block selection, which block will make a better block for racing and high performance street use over another / drilling , plugging , tapping , grinding holes not needed / or modifing some needed to make a superior oiling system / shows the boring / decking / line honing all on camera and you will watch the engine being built step-by-step / you will watch the rods, pistons , rings, bearings and all rotating engine parts being balanced and watch the bob weights built and the crank being spun and brought into perfect ballance . You will watch Wayne alter and modify the oil system into a very superior oiling system that will handle the high RPM and horse power of a racing engine. He tells about restricting the oil to the lifter galleys and then restricts them / he shows how the oil comes into the engine and how it travels through the block all the way to the rod bearings / You will watch multi-cameras install the cam bearings / soft plugs / cam plug / installs the chamfered racing main bearings and check the clearance for racing clearances / installs a Callies 42 pound lightweight 4340 crankshaft with no center counter balances / installs a CompCams 628 lift solid roller cam with roller lifters / he will show you how to install the special forged HP pistons with .150 dome on the rods with the spiro locks on each pin side / you will see the forged light pistons up close along with the Callies 6 inch rods / Wayne will show you how to check the rod bearing clearance and what clearance to use when building for racing / he will show you the difference between chamfered racing bearings and other inferior racing bearings and how there are two bearings in you rod bearing box, one for the rod and one for the rod cap / will show you how the special rod bearings are placed into the rod and then the cap / You will watch him grind the Molly HP street or racing rings to fit the cylinder / how to install them on the piston and locate the end gaps / he will talk about the rings RPM around the piston when it's running / you will watch as he places the rod and piston together to fit number one cylinder and how number 3 cylinder rod and piston is different / you will watch him use a special ring compressor to load each piston/rod into it's place and he will show you all the pit-falls of what to watch for when installing the rod and pistons / he will show you engine assembly lubes to use assembly and for bearings / you will watch as he stretches the Callies 235 thousand psi ARP rod bolt with a stretch guage / he gives a lesson on torque wrenches / how to check rod side clearance / crank end clearance / shows how to install the rear main seal with out it leaking / he will talk about oil pumps - internal and external / you will see a super high tech internal wet oil pump and watch it install / He then installs a nice pan gasket that's better than any other and installs it with the front and rear rubbers and goes into detail how to install them / installs a 7 qt racing oil pan / you will watch him install the timing chain and both sprockets and he shows you how to install the crank sprocket without hitting - pounding or hammering on it, you won't believe it / he will degree the cam in great detail and explain all the cam card numbers so you can understand them / tells about lobe seperation - lobe centerline - how to advance and retard your cam and how that changes the top and bottom end horse power / installs an aluminum front timing cover and shows how to set the cam end clearance to prevent cam walk / Shows a budget light weitht damper with a special trick on how to get them to fit and a special way to install your damper / installs MSD's Ready To Run distributor and Blaster coil / installs ARP's head studs and shows a very special part of the head stud installation that will really make a big difference to all of you / shows in great detail the All Pro 215 aluminum cylinder head with 215 intake runners that flows 270 CFM's that has 64 CC combustion chambers / shows in detail how to find the spring installed height with a height mic / talks about valve springs - rocker studs - guide plates - retainers - shims - seals - and shows you a very special spring compressor he uses to install the valve springs right in front of you / installs the head and shows the pit-falls of the head stud nuts and washers on certain studs of the SB with large racing valve springs and how he fixed that problem / then installs a super nice shaft rocker arm system / shows the torque sequence and torques the heads on camera / installs the roller lifters and a special CompCam roller rockers and then takes an adjustable pushrod and shows you how to get your new push rod length the correct way / shows and tells about rocker arm ratios / shows the correct way to set the valves / installs a stud girdle to strengthen the valve train / shows you how to check piston to valve clearance like you have never seen before. You will see the valve going down and the piston coming up and how they meet together on camera - it will knock you socks off - you see how much clearance you really have, no guess work / installs a supper nice HP aluminum intake manifold with a large Demon carburetor / shows the port matching of the intake runners and the head runners / shows how to port match the carburetor spacer to the intake manifold / installs an MSD distributor and 48000 volts MSD Blaster coil / Shows a cubic inch chart that you can use to find your CID or use to design an engine / shows how to repair main and head bolts that are stripped or threads have been pulled by using a heli-coil / you will see him index the plugs / Install the HP intake manifold and Demon. He will explain in detail the carb and functions / You will watch him build the complete engine from bare block to ready to run and you will watch / see each step. Nothing left out. Even all the part numbers of each part used.